ElcomSoft Co. Ltd. updates Advanced Office Password Recovery and Distributed Password Recovery with NVIDIA Tesla K20 support, enabling world's fastest password recovery with NVIDIA's latest supercomputing platform. Elcomsoft Advanced Office Password Recovery removes document restrictions and recovers passwords protecting Microsoft Office documents, while Elcomsoft Distributed Password Recovery can quickly break a wide range of passwords on multiple workstations with near zero scalability overhead. GPU-accelerated password recovery dramatically reduces the time required to break long and complex passwords, offering more than 20-fold performance gain over CPU-only operations (compared to a quad-core Intel i7 CPU). NVIDIA's latest Tesla K20 platform further increases the performance, delivering a nearly 1.5x performance increase compared to the use of a dual-core NVIDIA GeForce GTX 690 board. A workstation equipped with an NVIDIA Tesla K20 unit can crunch as many as 27500 Office 2007 passwords per second, or 13500 passwords per second in the case of Microsoft Office 2010. In comparison, the next-best solution, a dual-core GeForce GTX 690 board, can try some 19000 Office 2007 or 9000 Office 2010 passwords per second. The updated Elcomsoft Advanced Office Password Recovery and Elcomsoft Distributed Password Recovery now fully support the latest NVIDIA supercomputing hardware, enabling users to gain unrestricted access to many types of documents in far less time. Elcomsoft Advanced Office Password Recovery unlocks documents created with all versions of Microsoft Office from version 2.0 to 2013. The tool recovers passwords for Microsoft Word, Excel, Access, Outlook, Project, Money, PowerPoint, Visio, Publisher, OneNote, Backup, Schedule+, and Mail. Instant password recovery is available for several Office products, while advanced dictionary attacks and brute-force password recovery are available to unlock strong protection found in Microsoft Office 2003-2013. The tool exploits all known security issues discovered in Microsoft Office, and provides instant recovery for many types of documents. In addition, Advanced Office Password Recovery performs a completely automated preliminary attack that may recover documents in less than 10 minutes. The tool caches all previously recovered passwords, providing near-instant recovery for all documents using the same password. Elcomsoft Distributed Password Recovery enables accelerated password recovery for Microsoft Office documents, Adobe PDF, PGP disks and archives, personal security certificates and exchange keys, MD5 hashes and Oracle passwords, Windows and UNIX login and domain passwords. Supporting ElcomSoft's patented GPU acceleration technology and being able to scale to over 10,000 workstations with zero scalability overhead, Elcomsoft Distributed Password Recovery is a high-end password recovery solution offering the speediest recovery with the most sophisticated commercially available technologies. NVIDIA re-introduced its Tesla K20 architecture, bringing performance of applications requiring massive computational power to the next level. The K20 family of Tesla GPU greatly accelerates computational-heavy tasks by offering massively parallel performance via NVIDIA CUDA SDK. The K20X is the world's fastest GPU so far, offering unbeatable performance in many applications. 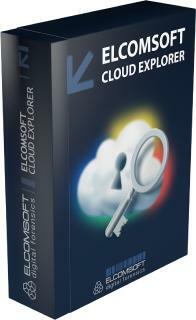 North American prices for Elcomsoft Distributed Password Recovery start from $599 per license. 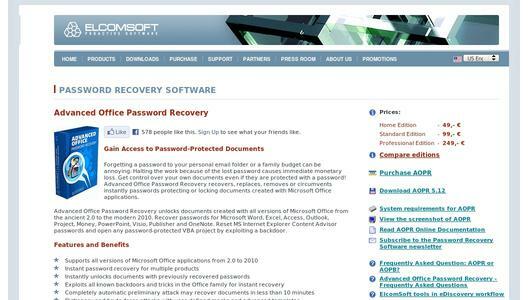 Elcomsoft Advanced Office Password Recovery is available for $49 and up. Founded in 1990, ElcomSoft Co.Ltd. 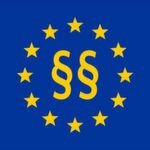 is a global industry-acknowledged expert in computer and mobile forensics providing tools, training, and consulting services to law enforcement, forensics, financial and intelligence agencies. ElcomSoft pioneered and patented numerous cryptography techniques, setting and exceeding expectations by consistently breaking the industry's performance records. ElcomSoft is Microsoft Gold Independent Software Vendor, Intel Software Premier Elite Partner, member of Russian Cryptology Association (RCA) and Computer Security Institute.